Police have identified the 21-year-old gunman suspected of killing five people when he opened fire inside a Florida bank on Wednesday afternoon. 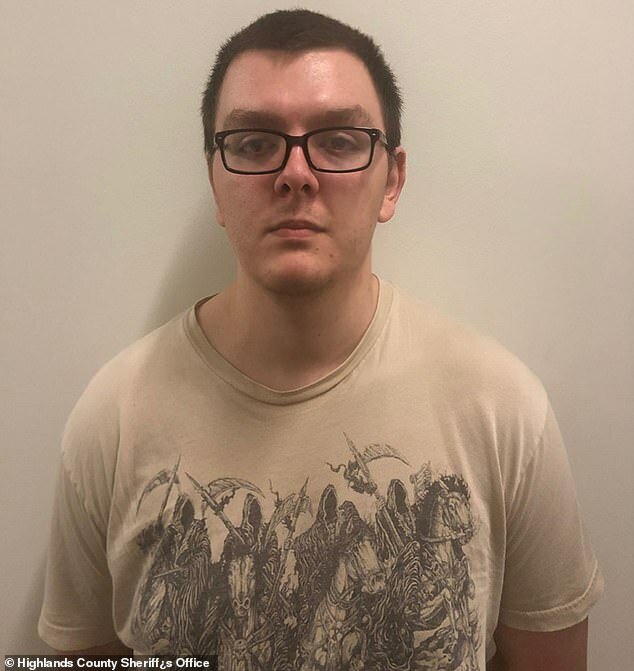 Zephen Xaver allegedly called 911 to report that he'd fired shots within the SunTrust Bank branch in Sebring just after 12.30pm, killing everyone inside. After a standoff with officers, Xaver eventually surrendered to SWAT members and was placed under arrest. Video shows him being perp-walked in handcuffs through the parking lot to a police vehicle. 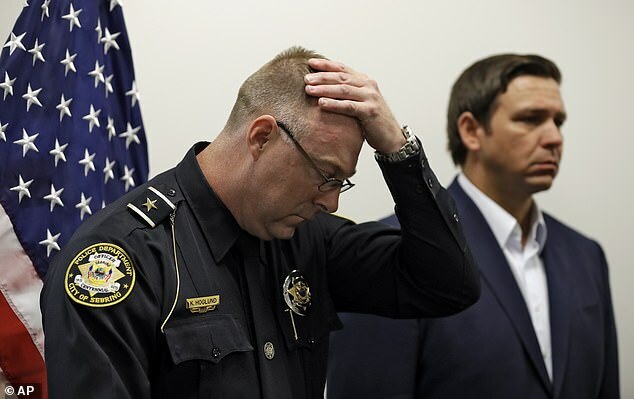 Police have not yet determined a motive in the 'senseless murders', but Florida Governor Ron DeSantis promised swift justice for the victims, whose names are being withheld pending family notification. Authorities say Xaver was a correctional officer trainee hired by the Avon Park Correctional Institution in November, but he resigned on January 9 without an explanation. A friend of Xaver's family described the 21-year-old as 'very normal'. 'He's definitely a normal person. I would have never in a million years thought anything like this would have ever happened,' Sharon Spillane told WFLA. The Xavers' house was surrounded by crime scene tape for most of the day on Wednesday, according to local media. 'We are sorry to learn that we have at least five victims, people who were senselessly murdered as a result of his act in this bank,' Sebring Police Chief Karl Hoglund said at a press conference Wednesday evening. 'This has been a tragic day for our community. We’ve suffered a significant loss at the hands of a senseless criminal doing a senseless crime. 'We ask that you please keep them in your prayers, keep them in your thoughts,' he said if the victims' loved ones. The sheriff's office asked co-workers and family members of anyone who was inside the bank during the shooting should gather at the Inn on the Lakes on Gulfview Road. Hoglund declined to answer questions from reporters but promised to brief the media on emerging details Thursday morning. An FBI mobile unit has joined the investigation. 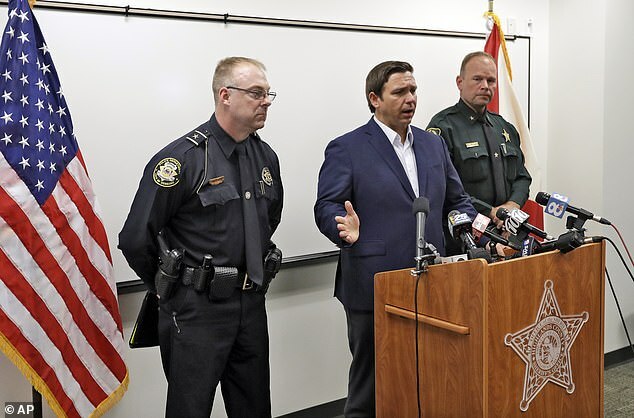 Gov Ron DeSantis also spoke during the press conference, saying: 'The people of Florida stand with the community here in light of this tragic circumstance. 'I’ve asked [Florida Department of Law Enforcement] to provide whatever resources we can at the state level to assist with the investigation. 'Obviously this is an individual that needs to face very swift and exacting justice,' he said of Xaver. This was Florida's seventh mass shooting in less than three years. Highlands County Sheriff Paul Blackman said: 'I am heartbroken that this horrendous incident has occurred in our county. I pray for the victims, their families and our community. This tragedy will have a lasting impact on Highlands County and likely this community will never be the same. 'I have been in law enforcement all of my adult life and this horrific incident shocks and angers me more than anything I have encountered in my career. WHO IS FLORIDA SHOOTING SUSPECT ZEPHEN XAVER? 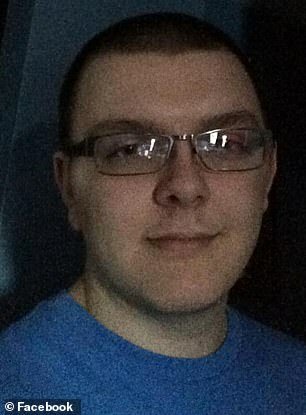 Zephen Xaver, originally of Plymouth, Indiana, is suspected of opening fire at the SunTrust Bank in Florida, Wednesday, killing five people. Friends were stunned by the news that the 'normal' 21-year-old was capable of such a horrific crime. But his former employers paint a more complex picture, of an undisciplined young man who quit his stable job without explanation. Xaver's social media pages, removed shortly after the shooting, reveal something of a macabre fascination with death. Even his booking photo shows obsession with death, and appears to show the four horsemen of the apocalypse. His social media also reveals an admiration of the alt-right, and Xaver had 'liked' far-right activist Milo Yiannopoulos, and memes about rightwing conspiracy theorist Alex Jones. 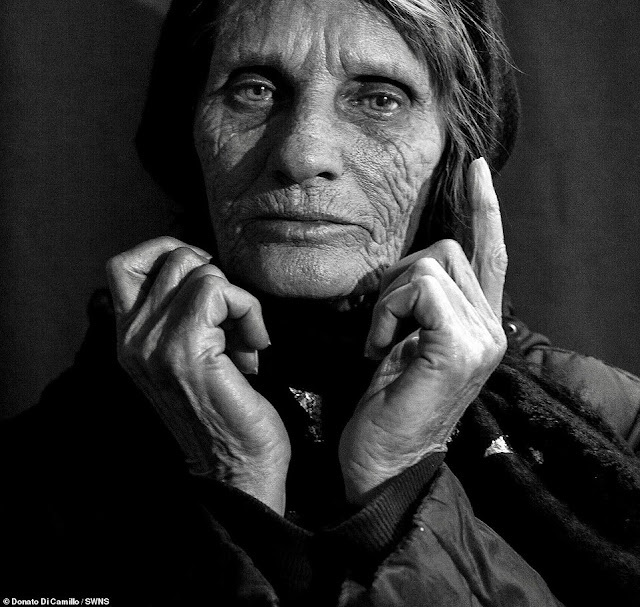 Yet a friend of Xaver's family described the 21-year-old as 'very normal'. Originally of Plymouth, Indiana, he also lived with his father in Bremen, Indiana, according to his social media pages. He later moved in with his mother and stepfather in Sebring, Florida, according to WESH. He also has two younger brothers. Xaver’s ex-girlfriend confirmed on Facebook page that her ex was the suspect. Xaver wrote that he had attended Bremen Senior High School and Plymouth High School in Indiana, where he was on the wrestling team. After his move to Florida, he started work as a correctional officer trainee at the Avon Park Correctional Institution, near the Avon Park Air Force Range, in November. But officials say he resigned on January 9 without an explanation. Agency spokesperson Patrick Manderfield said the 21-year-old had no discipline during the six weeks he was employed by the department. Avon Park Correctional is a state-run institution and thus its workers would not have been affected by the government shutdown. Dozens of law enforcement and media vehicles flocked to the scene as a standoff unfolded during lunchtime on Wednesday. 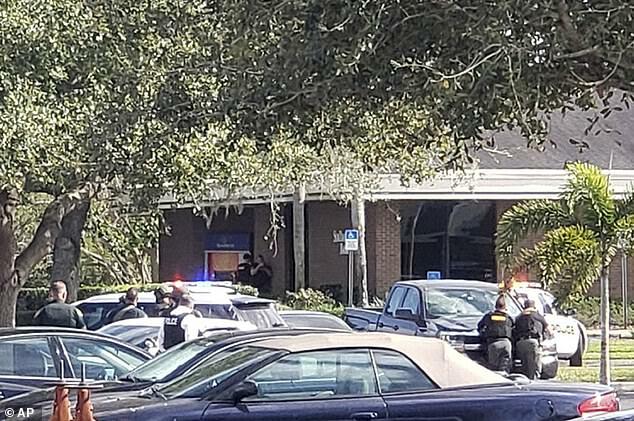 'After negotiations to try to get the barricaded subject to exit the bank were not successful, the HCSO SWAT team entered the bank and continued the negotiations,' the Sebring police said. Roehrig, who said police 'slammed [the suspect] pretty good' before escorting him outside the bank, recorded cellphone video of Xaver being taken into custody. 'He was young, very young,' Roehrig said. According to state officials, Xaver began working at Avon Park Correctional Institution near the Avon Park Air Force Range on November 28. Agency spokesperson Patrick Manderfield said the 21-year-old had no discipline during the six weeks he was employed by the department. Manderfield said no explanation was given for his resignation. 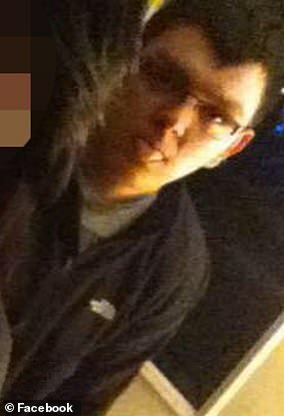 Social media pages believed to belong to the suspect are sparse bearing only a couple photos of Xaver himself along with a few of the Grim Reaper, a symbol of death. According to one of his pages, Xaver had recently moved to Sebring from Bremen, Indiana. 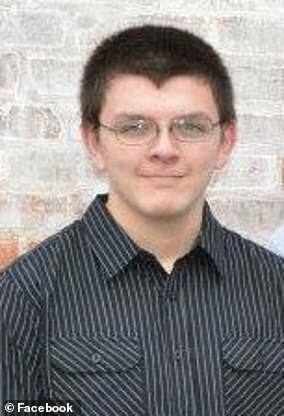 Xaver's LinkedIn page indicates that he is a student at Stevens-Henager College, which is based in Utah but offers online classes.